Welcome to our new website...We have one simple aim at Purple Turtle Parties, and that's to take your party to the next level of entertainment. We feature the ultimate jaw-dropping collection of characters, themes and attractions for events of all sizes, for all ages and occasions—birthdays, office or holiday parties, corporate events, picnics and special occasions...we do it all and more!! 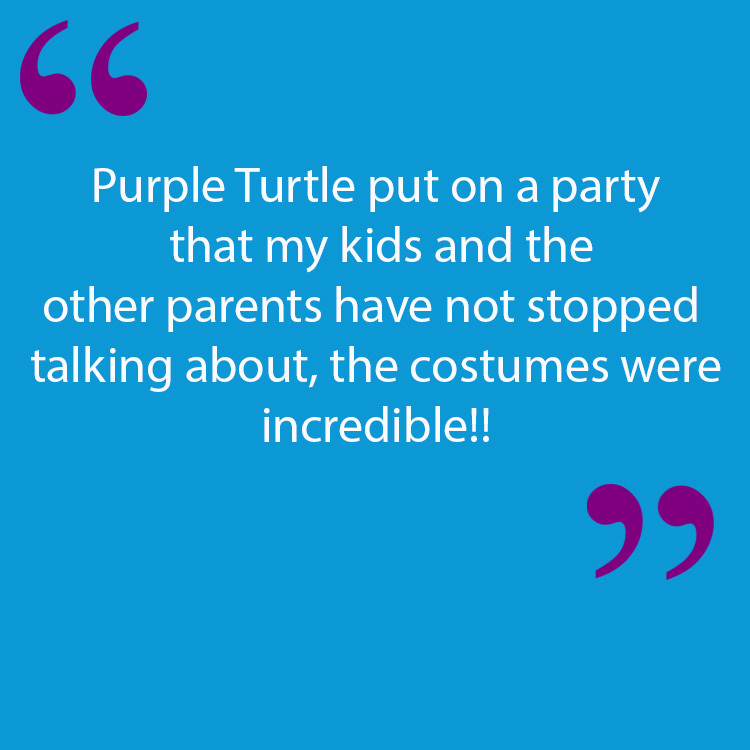 So whether you're interested in a Princess singing enchanted songs for your birthday girl or a dinosaur and a park Ranger to roar down the house or just pure fund and entertainment...Purple Turtle will do everything we possibly can to create the most awesome event imaginable. Thank you! we will be in touch shortly!! Thank you for contacting us, one of the team will be in touch shortly to help you take your event to the next level!